As originally envisioned, Healthcare.gov (which serves the residents of 36 states) was supposed to enable individuals to shop for health insurance starting Oct. 1, 2013, just as they would shop for airline tickets on Orbitz. But unlike Orbitz, Healthcare.gov makes consumers seeking information on their available choices go through a multi-step process to create an account and then log in and enter personal information. Administration officials imposed these extra steps because they didn’t want consumers to see the base price of the health insurance plans offered – which are inflated by new regulations – before the system could collect their income data and calculate what they’d pay in premiums after receiving government subsidies. 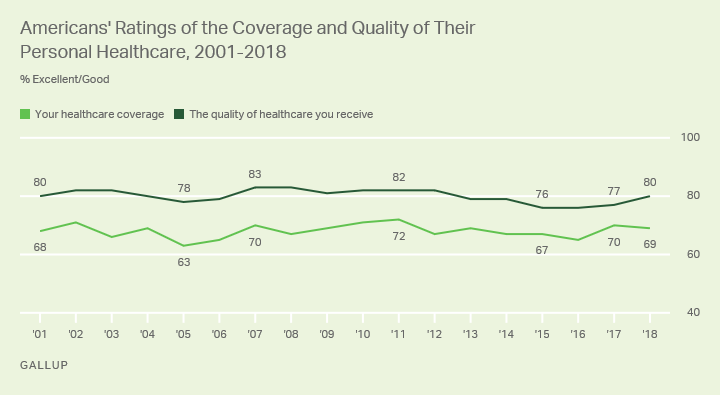 For a program that’s supposedly so benevolent, it’s interesting how often getting the public to accept Obamacare either requires legal compulsion or outright evasion. Reuters explains how a new Health and Human Services regulation announced today on the state-directed health insurance exchanges lays the groundwork for a total government takeover of the healthcare industry. In a 642-page final rule, the government provides guidance on how states should establish exchanges, qualify health plans for participation and determine the eligibility of both individuals and small businesses that want to use exchanges to provide health coverage to their employees. That is, until States drown in a sea of future regulations interpreting and implementing this “final” rule. At that point, States will be happy to cede control over policy details to federal bureaucrats so long as the money keeps flowing. As an example, just look at the rush by States to accept extra-legal requirements like the Common Core curriculum standards from the Department of Education in exchange for No Child Left Behind waivers. Implementation of ObamaCare will be no different. Unless the law is repealed, elements like health care exchanges and IPAB will eventually turn over all healthcare decisions to central planners; first in state capitols, then in Washington, D.C. This should provide plenty of fodder for tomorrow’s editions of the major national newspapers. One problem: tomorrow will also mark the fifth anniversary of Romney affixing his signature to healthcare reform in Massachusetts. With one of Romney’s key advisers on that piece of legislation openly declaring it to the be the intellectual model for Obamacare, Tuesday’s stories may not be as glowing as the former Bay State governor imagines. Nor may the returns from the 2012 Republican presidential primaries. While House Republicans are planning on bringing the repeal of Obamacare to a vote next week, even the staunchest opponents of the healthcare law admit that a fullblown reversal isn’t coming anytime soon. Roy is right. Who the Republican nominee is in 2012 could well determine how free of a nation the United States is for the forseeable future. Vote accordingly. As usual, Jay Cost has an eyebrow raising piece of analysis – today discussing in Technicolor detail how President Barack Obama’s narrow geographic popularity foretold of a need to govern from the center of the country; not the center of his party. What he should have done instead was disarm his opponents. If he had built initial policy proposals from the middle, he could have wooed the moderate flank of the Republican party, marginalized the conservatives, and alleviated the concerns of those gettable voters in the South and the Midwest. This is precisely what Bill Clinton did between 1995 and 2000, and it is what the President’s promises of “post-partisanship” suggested. Our system of government can only produce policy when geographically broad coalitions favor it. The Senate, more than any other institution, forces such breadth. Obama created breadth the wrong way. He watered down initially liberal legislation to prompt just enough moderate Democrats to sign on. Instead, he should have built policy from the center, then worked to pick up enough votes on either side. The left would have been disappointed, but the right would have been marginalized and, most importantly, Independent voters – who have abandoned the President in droves – might still be on board. One of the great ironies of liberal politicians is that they so often discount the yen of conservative intellectuals to participate in policy making. People like Rep. Paul Ryan (R-WI) and former House Speaker Newt Gingrich (R-GA) are driven by ideas, and enjoy the process of fashioning policies that get as many of them enacted as possible. But they are not necessarily “my-way-or-the-highway” types. Ryan’s Roadmap for America’s Future is a multi-decade plan for balancing the budget. Implicit in its longevity is Ryan’s willingness to work out compromises that preserve Social Security and Medicare while making them fiscally sound. For his part, Gingrich has always been the kind of politician willing to hammer out solutions with the other side, as he attempted to do with Bill Clinton. People wonder why we don’t have bipartisan breakthroughs anymore. In part, it’s because politicians like Barack Obama don’t have the political sense to “spread the success around” turning their adversaries into cooperators. Every once in a while, there is an article so good, it’s almost an injustice to splice any part of it for fear a reader won’t take the hyperlink and read the whole thing. Thankfully, Freedom Line Blog readers aren’t those types, but just to whet the appetite, here is a sample from an op-ed dissecting why government can never “reform” healthcare pricing. Healthcare prices are fake, inflexible, and inflated because they are set not by the repeated interactions of buyers and sellers but by opaque acts of collusion between government bureaucrats and special interests. Even if this system were run by a benevolent genius who happened to set prices exactly “right” – whatever that means – these prices would be obsolete the moment they were published. I don’t know the author, Bill Frezza, but I wish I did. A hat tip to you, Sir.